CUSTOM EXPOSITION ENTRY!! 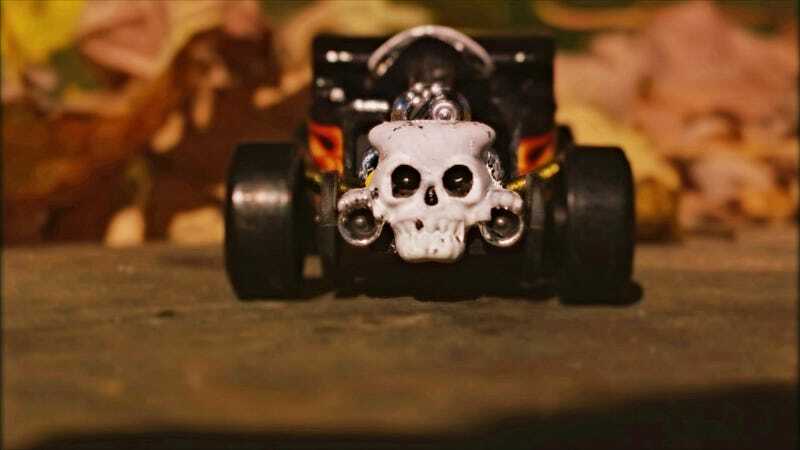 Bone Shaker reveal!! The original paint scheme was very very cool so I kept it. I did however chop the body in front of the cab and swapped a different engine, exhaust, and wheels in. After the big parts were on I just detailed it. And there you have it! A very fitting custom for Halloween! HERE is a link to what exactly I did with it! October CUSTOM CONTEST update! Bone Shaker build has begun!